Neurodiversity advocates human brain variety. (C) Warner Bros. Animation. All rights reserved. Some people are born hyperactive – they cannot live by staying still in a corner. They love to wiggle around, running and strolling in the open space, and seem not to shut their mouths. They seem to get into trouble. 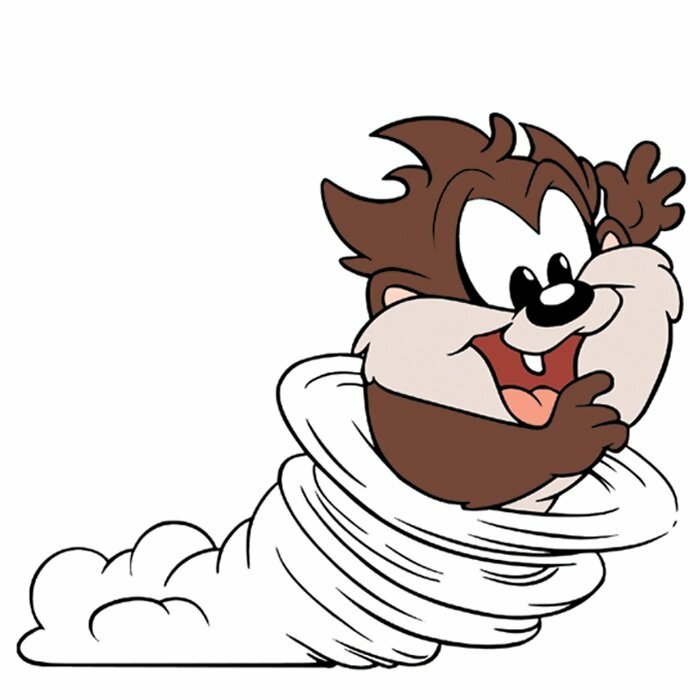 They are like Taz as shown above. Others may be quiet, but daydream all the time and seem not to have attention when being called. Sometimes, there are people who are both hyperactive and inattentive. For teachers and bosses alike, they are called rascals and thus are subject to suspension and even expulsion from school or work. Maybe these poeple are lazy or snobbish. But unfortunately, not all of them are lazy or snobbish. Actually, they are born wih it and comes naturally as part of themselves. This condition they possess is called attention deficit hyperactivity disorder or more known as ADHD. ADHD or hyperkinetic disorder is is a problem of not being able to focus, being overactive, not being able control behavior, or a combination of these. For these problems to be diagnosed as ADHD, they must be out of the normal range for a person’s age and development. They usually begin between ages 6 and 12 and must persist for a period of 6 months or more to present this diagnosis. A person with ADHD usually has problems in his or her academic, social, and work life. ADHD is said to affect 6-7% of children when diagnosed via the Diagnostic and Statistical Manual of Mental Disorders IV (DSM-IV) and between 2–5% of adults have the condition. About 30-60% of children with ADHD continue to have symptoms until adolescence and adulthood. ADHD affects males 3 times more than females. As the child grows into an adult, the symptoms may tone down a bit, but the inattentiveness and impulsivity may still persist. Predominantly Inattentive Presentation: It is hard for the individual to organize or finish a task, to pay attention to details, or to follow instructions or conversations. The person is easily distracted or forgets details of daily routines. Predominantly Hyperactive-Impulsive Presentation: The person fidgets and talks a lot. It is hard to sit still for long (e.g., for a meal or while doing homework). Smaller children may run, jump or climb constantly. The individual feels restless and has trouble with impulsivity. Someone who is impulsive may interrupt others a lot, grab things from people, or speak at inappropriate times. It is hard for the person to wait their turn or listen to directions. A person with impulsiveness may have more accidents and injuries than others. ADHD is difficult to diagnose, as it is hard to differentiate the ADHD itself from the disruptive or shy behavior some children have. 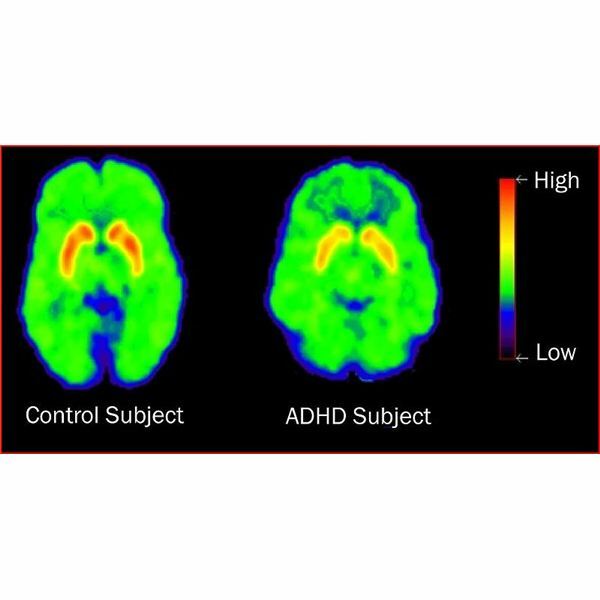 It is more difficult to diagnose ADHD of the inattentive type, as the children who has it presents as well-behaved; in fact, their inattentiveness is not obvious until their teenage and adult years. A psychiatrist or developmental pediatrician may diagnose an adult or child has possible ADHD through assessment of a person’s childhood behavioral and mental development, including ruling out the effects of drugs, medications and other medical or psychiatric problems as explanations for the symptoms. A diagnostic checklist, such as found in the DSM-IV or DSM-V or International Statistical Classification of Diseases and Related Health Problems-10 (ICD-10) is made to base if the symptoms interfere with the child’s or adult’s life. There is no single treatment for ADHD. A combination of therapy, medication, and individualized classes or workshops are done to manage symptoms of ADHD. Psychological therapies used include: psychoeducational input, behavior therapy, cognitive behavioral therapy (CBT), interpersonal psychotherapy, family therapy, school-based interventions, social skills training, parent management training, and neurofeedback. Stimulant medications are the pharmaceutical treatment of choice like methylphenidate; however, stimulants have the potential for abuse and dependence. To avoid dependence, non-stimulant medications, such as atomoxetine, bupropion, guanfacine, and clonidine that may be used as alternatives. What is the prognosis of ADHD? A person with ADHD can succeed in life with treatment and management. Approximately half of ADHD children seem to “outgrow” the disorder in adolescence or early adulthood; the other half will retain some or all symptoms of ADHD as adults. With early identification and intervention, careful compliance with a treatment program, and a supportive and nurturing home and school environment, ADHD children can flourish socially and academically. If ADHD is not addressed, what will happen? If ADHD is not identified, complications may arise to the person having it. These complications can begin with troubles in the classroom, but can also include a likelihood of accidents and injuries, trouble interacting with peers, and a disposition to alcohol or drug use. It can also cause unstable relationships and financial stress. Can ADHD co-exist with other conditions? Are there famous people with ADHD? People with ADHD have brains different from the neurotypical (non-ADHD) brain as shown in this scan. Comparison of a neurotypical brain with ADHD brain. A bigger representation of ADHD brain is pictured below. ADHD is only one of the conditions under the umbrella of Neurodiversity. More conditions will be discussed next time. “Attention-Deficit / Hyperactivity Disorder (ADHD)”. Centers for Disease Control and Prevention. National Center on Birth Defects and Developmental Disabilities. 19 September 2014. Retrieved 3 November 2014. Dulcan MK, Lake MB (2011). Concise Guide to Child and Adolescent Psychiatry (4th ed.). American Psychiatric Publishing. p. 34. ISBN 9781585624164. Retrieved 17 January 2014. Willcutt EG (July 2012). “The prevalence of DSM-IV attention-deficit/hyperactivity disorder: a meta-analytic review”. Neurotherapeutics 9 (3): 490–499. doi:10.1007/s13311-012-0135-8. PMC 3441936. PMID 22976615. Kooij SJ, Bejerot S, Blackwell A, Caci H, Casas-Brugué M, Carpentier PJ, Edvinsson D, Fayyad J, Foeken K, Fitzgerald M, Gaillac V, Ginsberg Y, Henry C, Krause J, Lensing MB, Manor I, Niederhofer H, Nunes-Filipe C, Ohlmeier MD, Oswald P, Pallanti S, Pehlivanidis A, Ramos-Quiroga JA, Rastam M, Ryffel-Rawak D, Stes S, Asherson P (2010). “European consensus statement on diagnosis and treatment of adult ADHD: The European Network Adult ADHD”. BMC Psychiatry 10: 67. doi:10.1186/1471-244X-10-67. PMC 2942810. PMID 20815868. Bálint S, Czobor P, Mészáros A, Simon V, Bitter I (2008). “[Neuropsychological impairments in adult attention deficit hyperactivity disorder: a literature review]”. Psychiatr Hung (in Hungarian) 23 (5): 324–335. PMID 19129549. Emond V, Joyal C, Poissant H (April 2009). 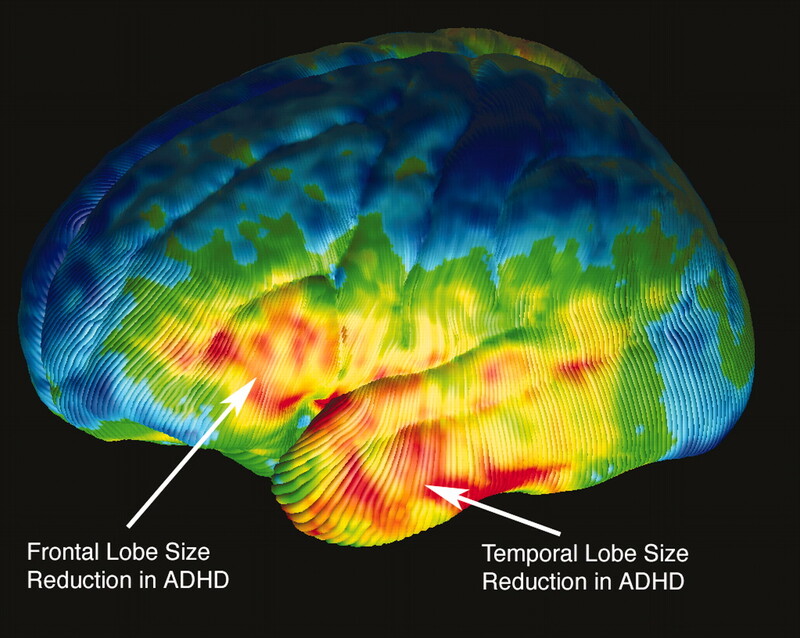 “Structural and functional neuroanatomy of attention-deficit hyperactivity disorder (ADHD)”. Encephale (in French) 35 (2): 107–114. doi:10.1016/j.encep.2008.01.005. PMID 19393378. Singh I (December 2008). “Beyond polemics: science and ethics of ADHD”. Nat. Rev. Neurosci. 9 (12): 957–964. doi:10.1038/nrn2514. PMID 19020513. National Collaborating Centre for Mental Health (2009). Attention Deficit Hyperactivity Disorder: Diagnosis and Management of ADHD in Children, Young People and Adults. British Psychological Society. pp. 19–27, 23, 38, 130, 133, 317. ISBN 9781854334718. Arns M, de Ridder S, Strehl U, Breteler M, Coenen A (July 2009). “Efficacy of neurofeedback treatment in ADHD: the effects on inattention, impulsivity and hyperactivity: a meta-analysis”. Clin EEG Neurosci 40 (3): 180–189. PMID 19715181. Wigal SB (2009). “Efficacy and safety limitations of attention-deficit hyperactivity disorder pharmacotherapy in children and adults”. CNS Drugs. 23 Suppl 1: 21–31. doi:10.2165/00023210-200923000-00004. PMID 19621975. Oregon Health & Science University, Portland, Oregon (2009). “Black box warnings of ADHD drugs approved by the US Food and Drug Administration”. United States National Library of Medicine. Retrieved 17 January 2014. Do Smart People Lack Common Sense? How To Survive The World If You Are Neurodivergent? The Philippine Center for Gifted Education, Inc.